COLUMBIA, Mo 11/22/17 (Beat Byte) -- Don't believe the naysayers about Boone County's 2018 budget, including some county officials guilt tripping voters who defeated a poorly-planned use tax this month. 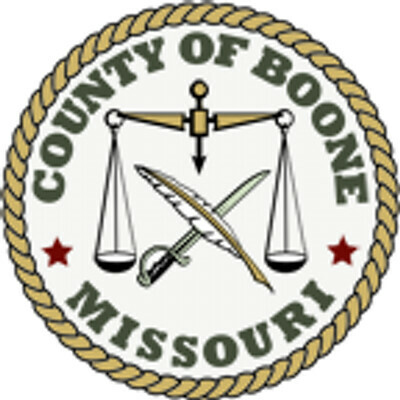 Boone County's finances are strong as ever, according to the last audited financial report. “Boone County is at risk from the growing impact of e-commerce, BUT current trends suggest that modest GROWTH is likely to continue," the report claims. Sales tax growth is so strong the County has managed to squirrel away roughly $62 million in reserve funds, much more than county law requires. Voters have approved new taxes for mental health, emergency management, roads and bridges, and even office space expansion. 1) Boone County sales taxes GREW by 1.8% in 2016. 2) The General Fund reserve (i.e. emergency fund) is 44% – MUCH higher than the 17% Commissioners require. It holds nearly $12 million. 3) Every other part of County government – from roads and bridges to 911 management -- has reserves that EXCEED requirements. These other reserve funds total about $50 million. 6) Sales tax revenues for the new Children’s Service Fund EXCEEDED expenses by $1.7 million. 8) Boone County government won a big award for financial management. Why aren't voters getting this good news? Because local officials in all branches of government push an annual lie: that money is so tight, taxes must rise or services must suffer. "The commissioners have less money to spend," KOMU reported. "The budget proposal listed the failed use tax increase from the Nov. 7 election as one of the factors affecting the budget." Additional staffing is imperiled, at least one County Commissioner claims, with veiled threats. "The sheriff had requested three additional positions," District I Commissioner Fred Parry said. "We're only going to be able to fund one of his positions. The sheriff has a growing concern about his ability to keep the citizens of Boone County safe." Voters, Parry claims, weren't educated enough to pass the use tax. He resorts to another veiled threat to get that message across. "We have got to address the negative trend that we have in sales tax revenue growth," Parry said. "If the citizens of Boone County want to continue receiving the services that they think are valuable, including public safety, we're going to have to address the revenue issue in county government." The public is encouraged to attend and speak at three budget hearings Nov. 28, Nov. 30 and Dec. 5 at the Boone County Commission chambers. Commissioners will approve the budget Dec. 19.